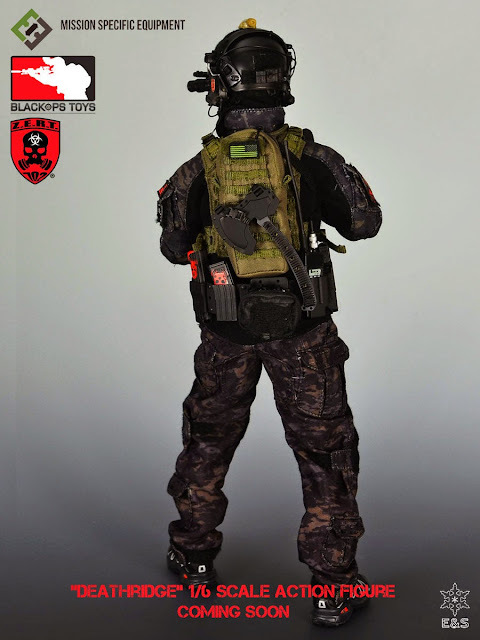 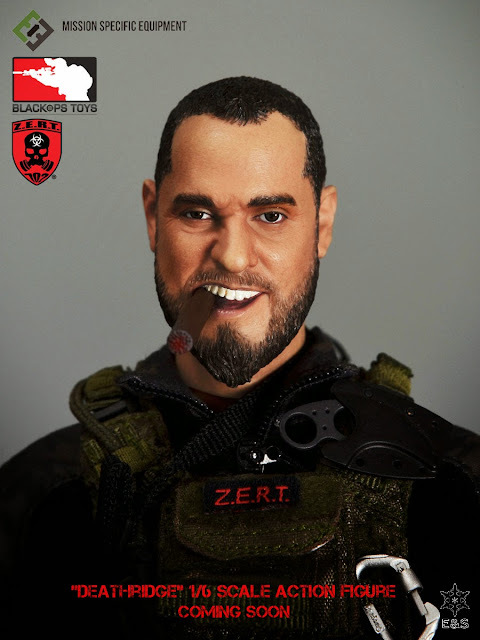 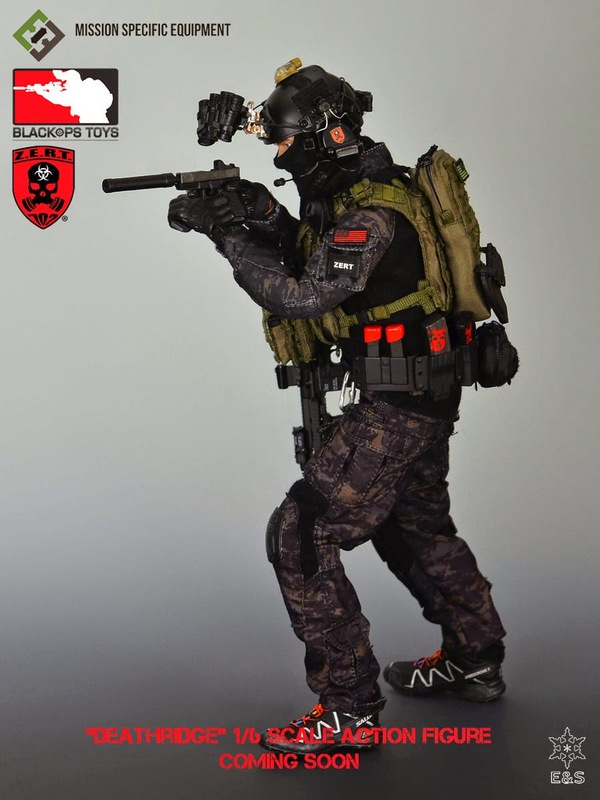 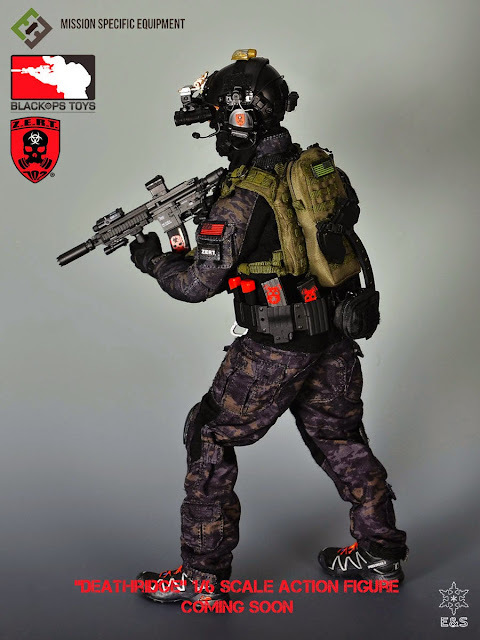 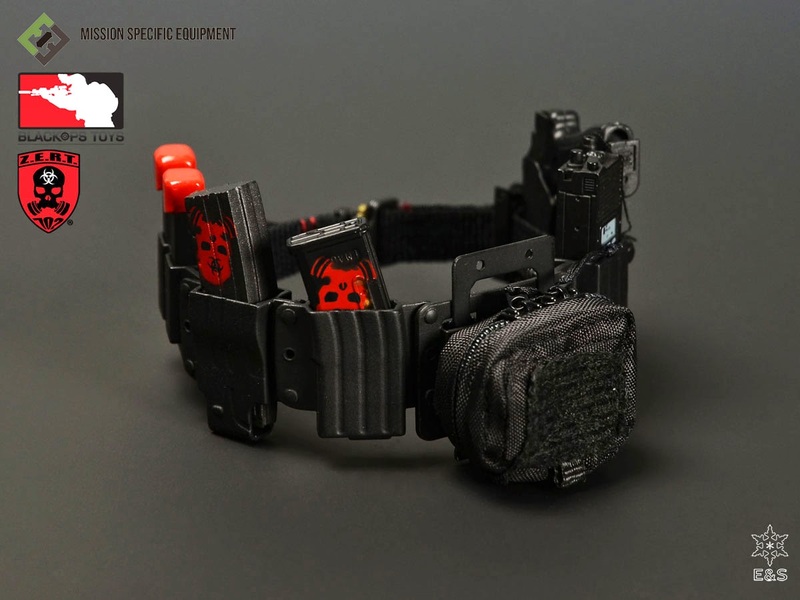 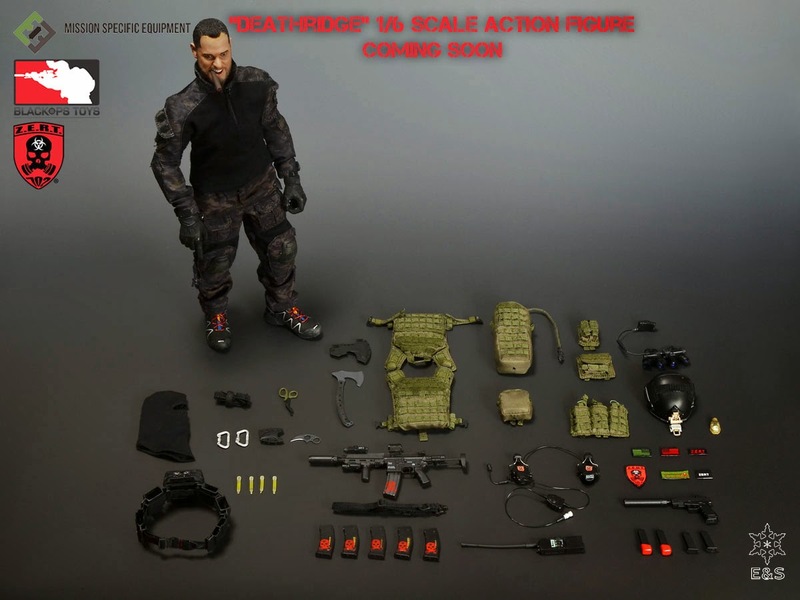 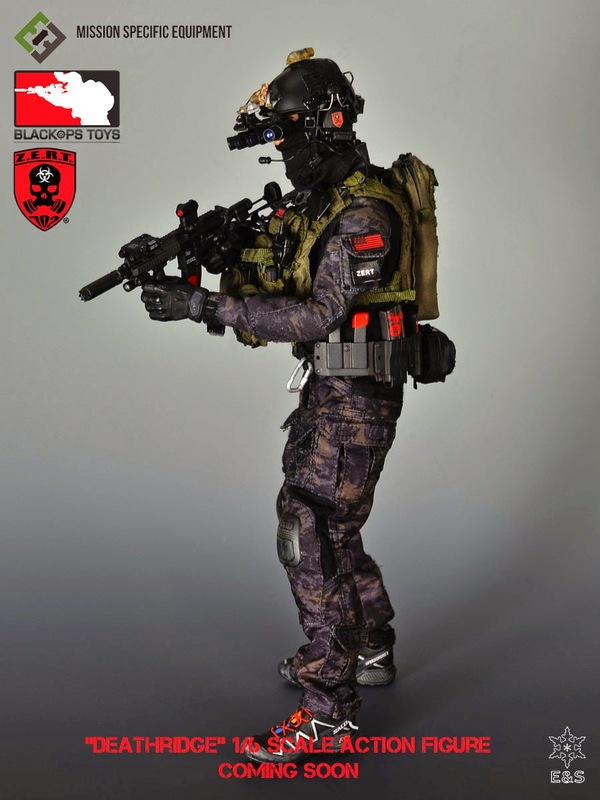 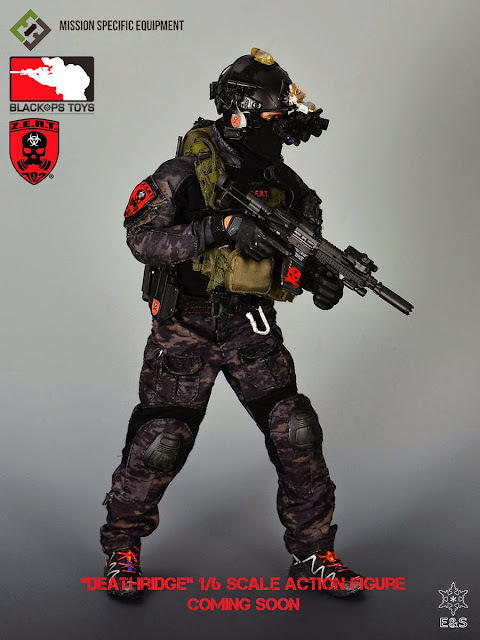 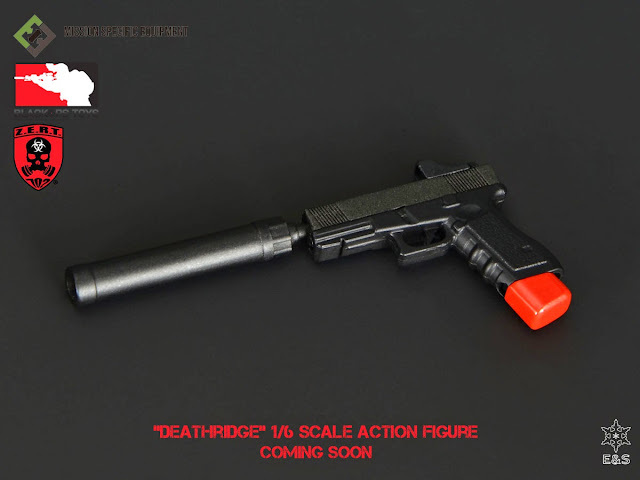 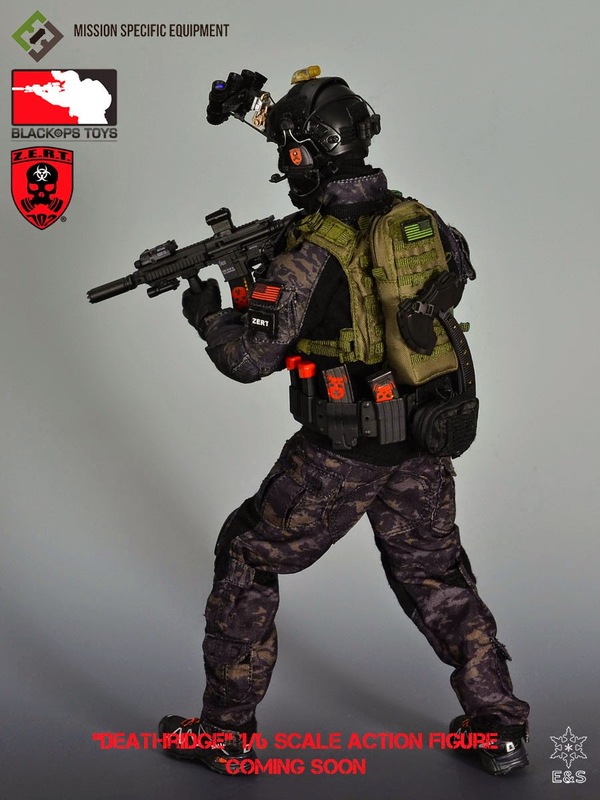 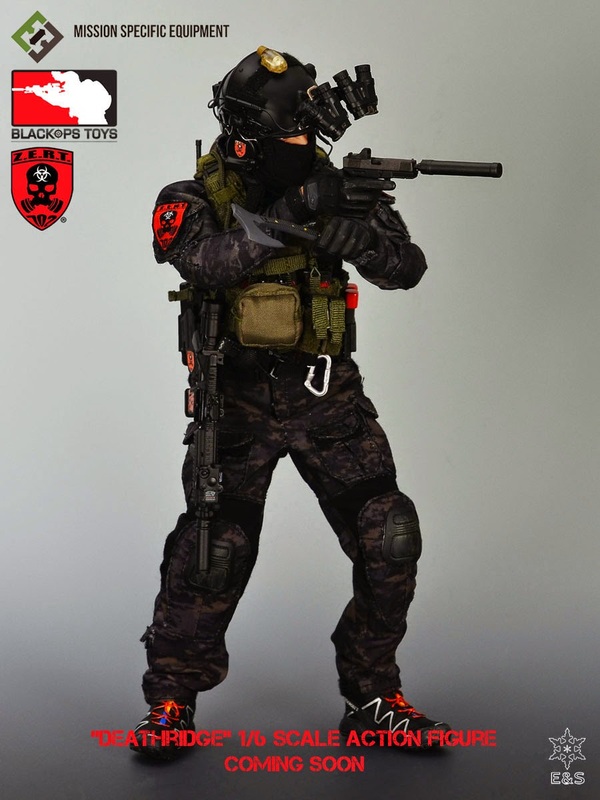 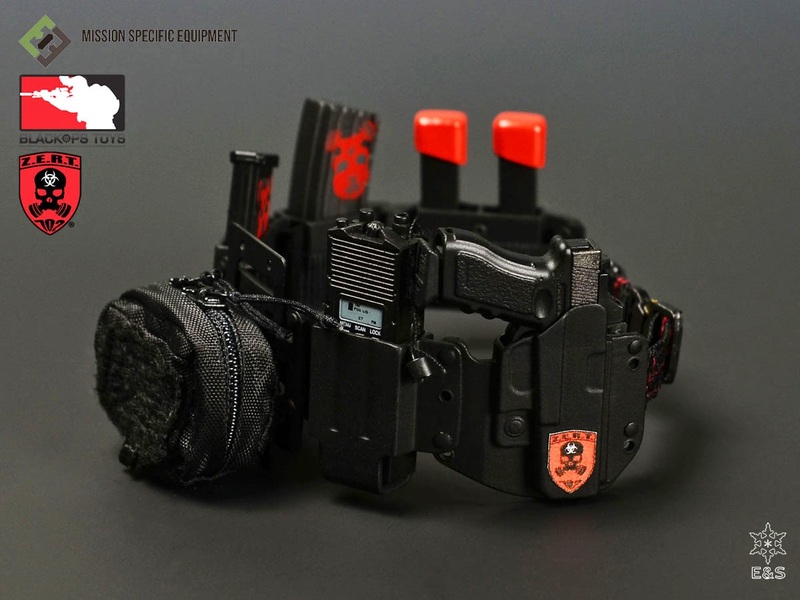 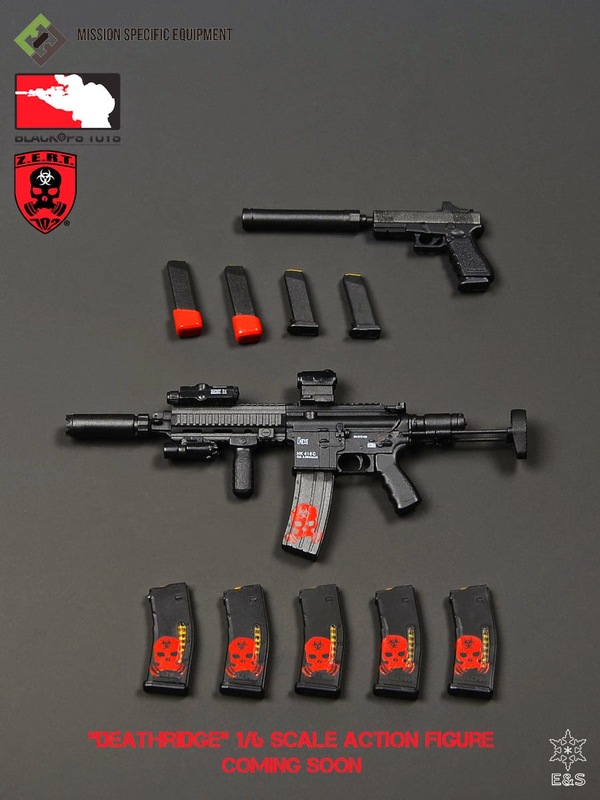 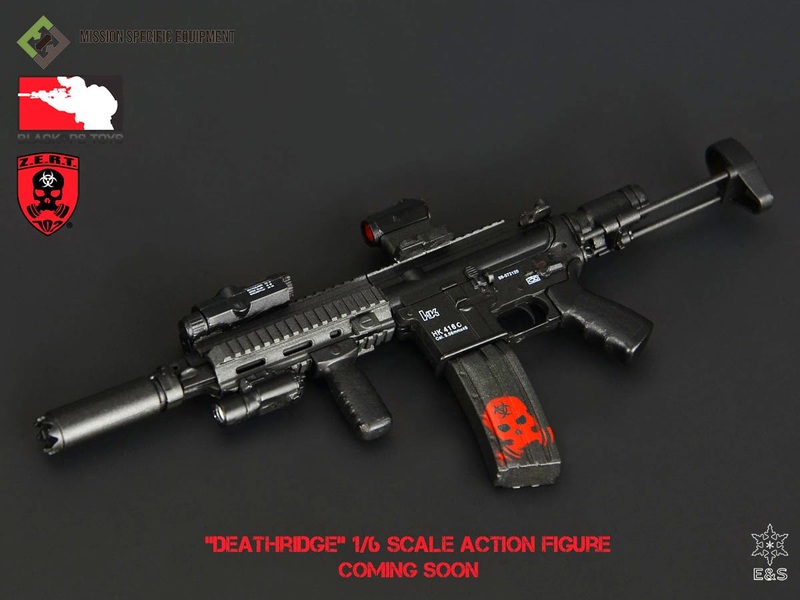 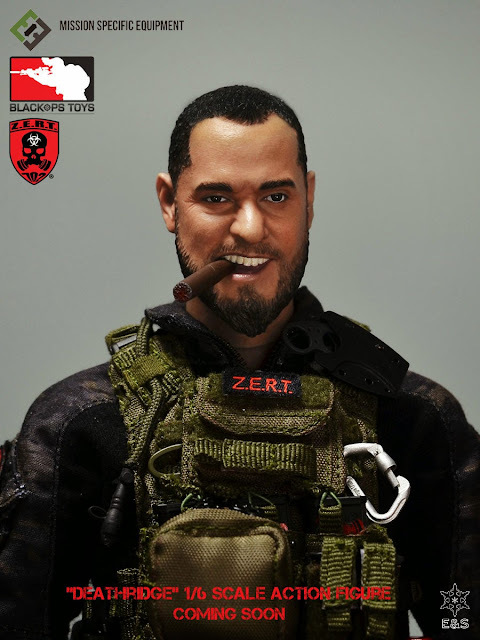 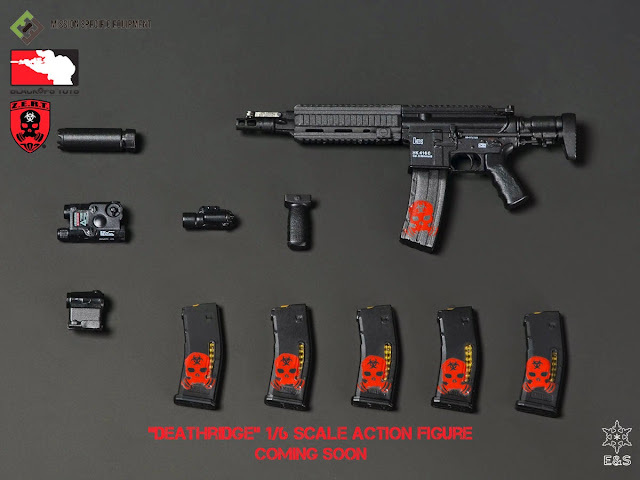 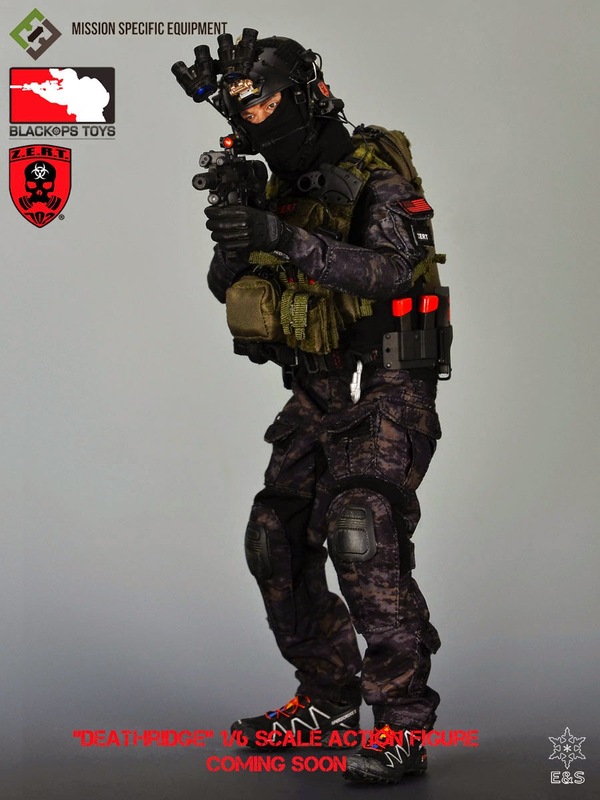 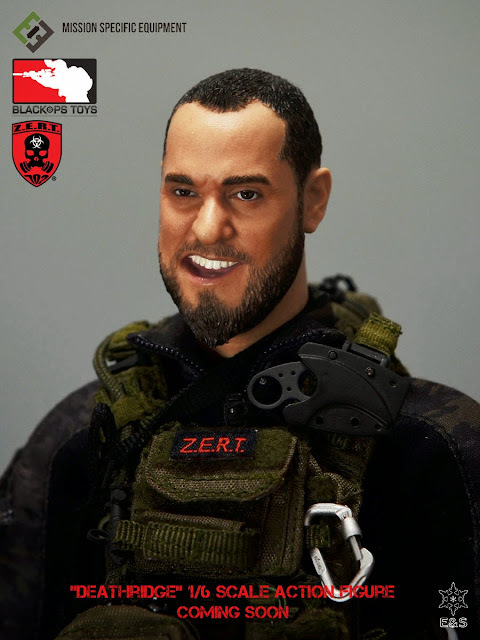 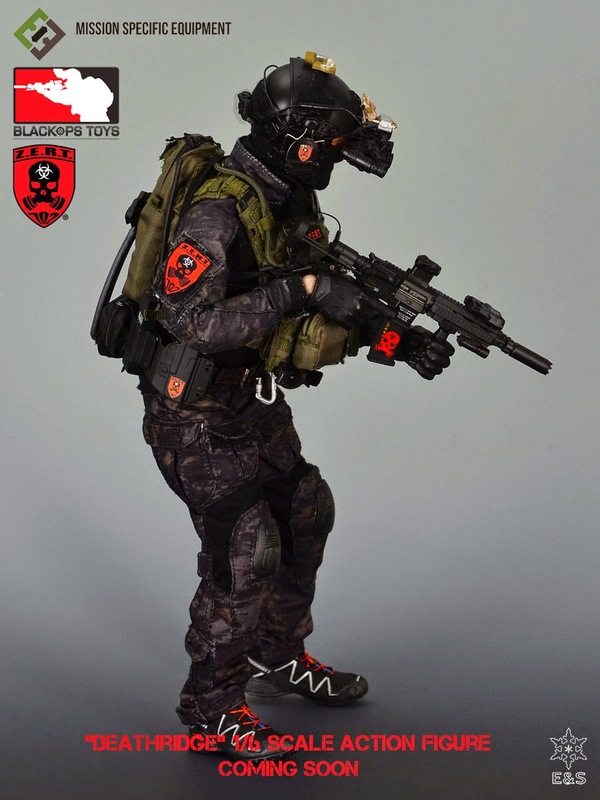 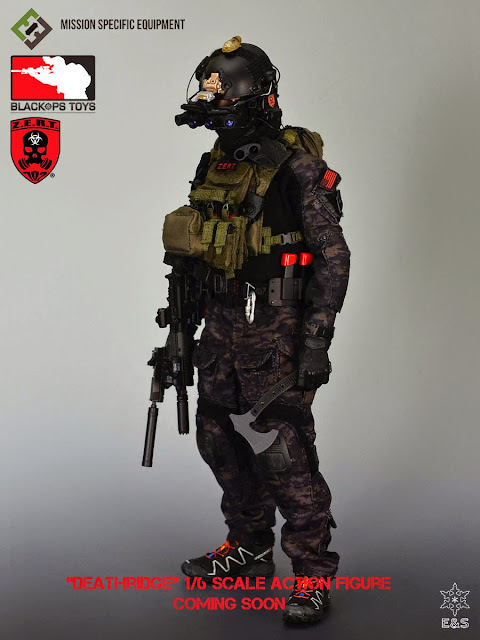 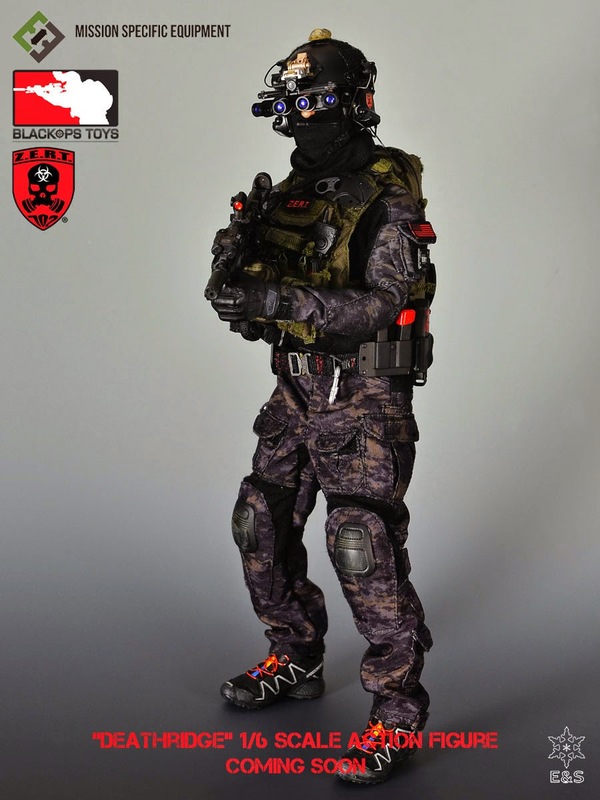 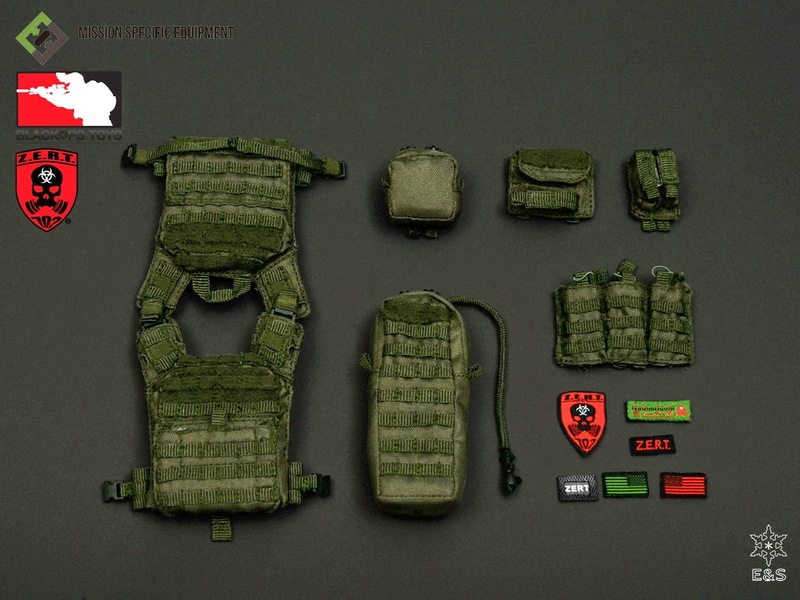 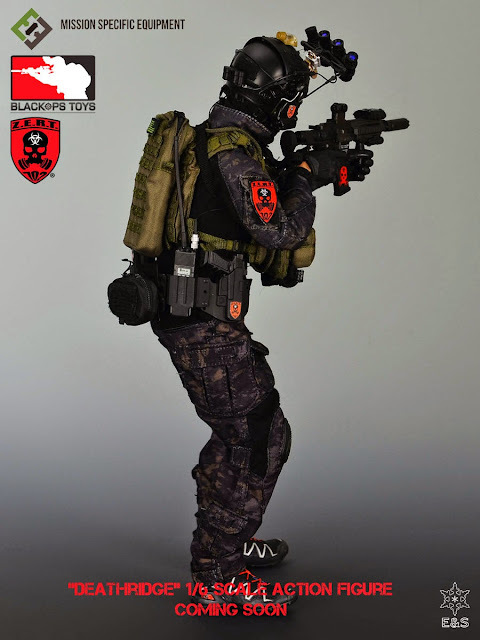 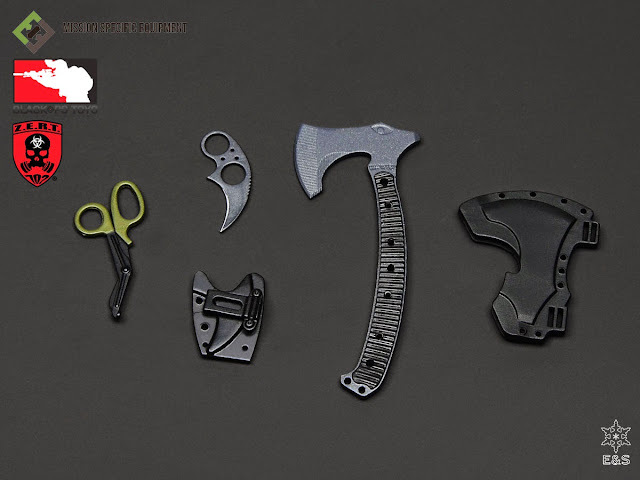 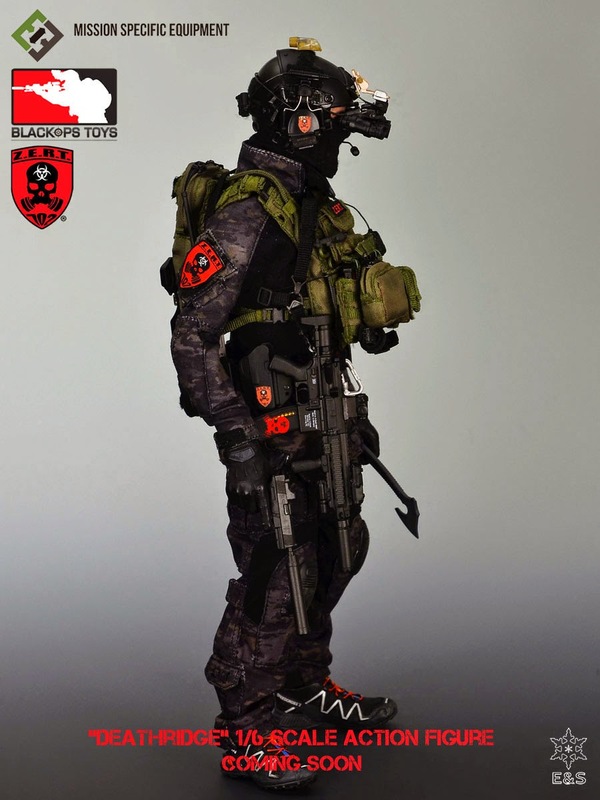 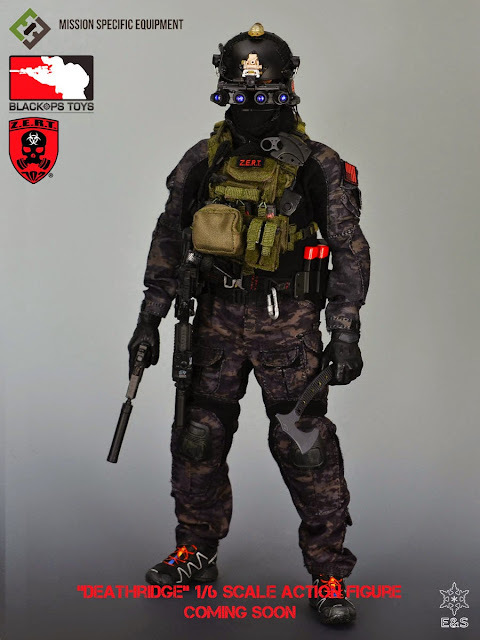 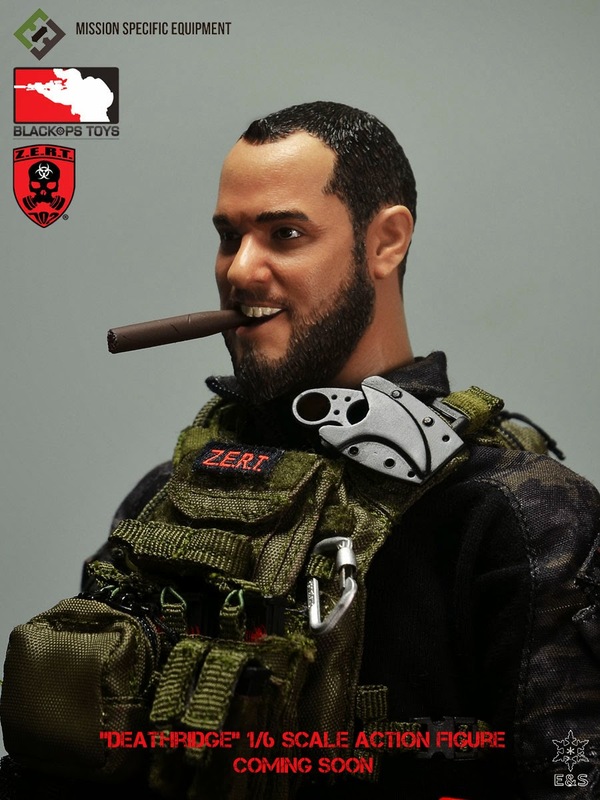 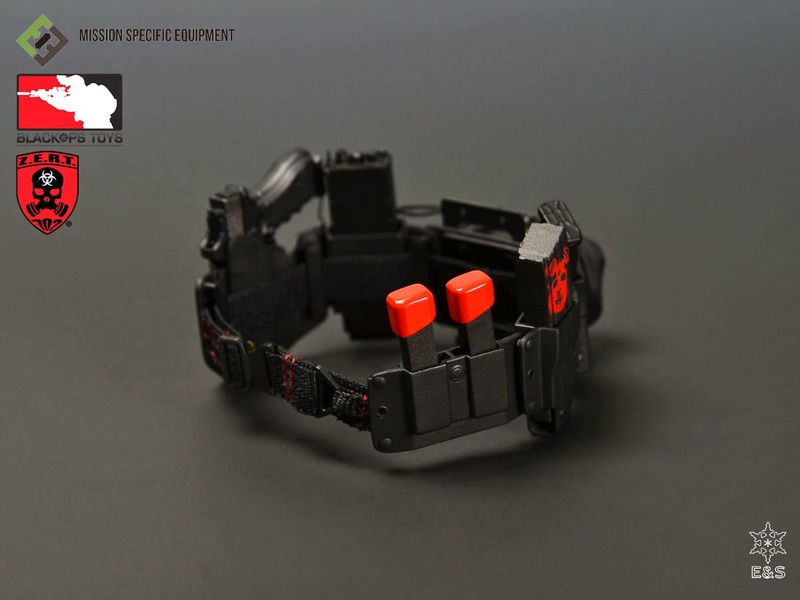 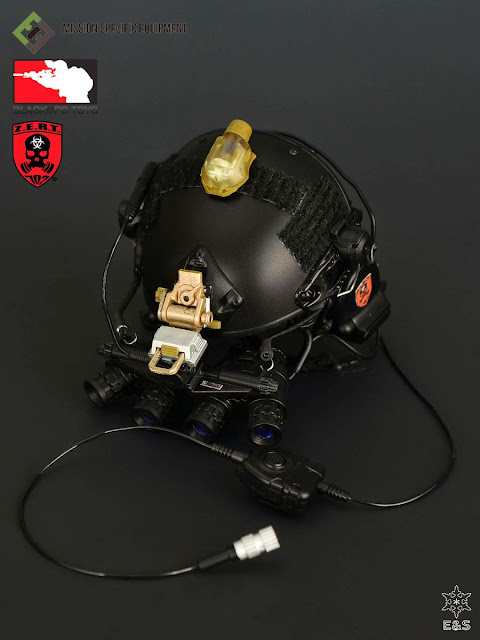 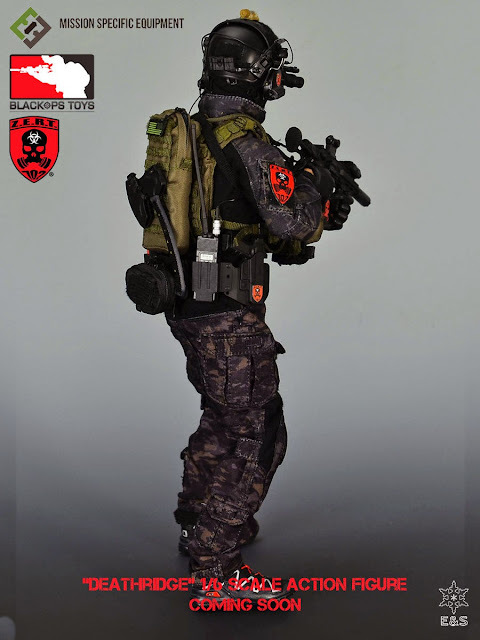 1:6th scale retailer BlackOpsToys.com has provided final production photos of an exciting new one sixth scale figure coming from MSE (Mission Specific Equipment, manufactured by Easy & Simple): the Z.E.R.T. 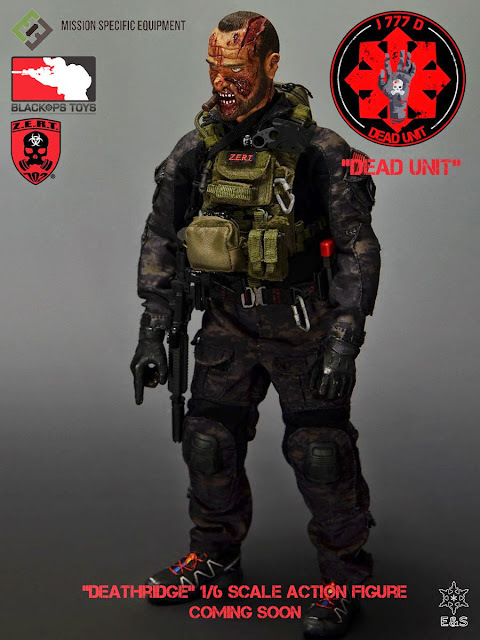 (Zombie Eradication Response Team) 1:6 scale Deathridge 12-inch Action Figure. 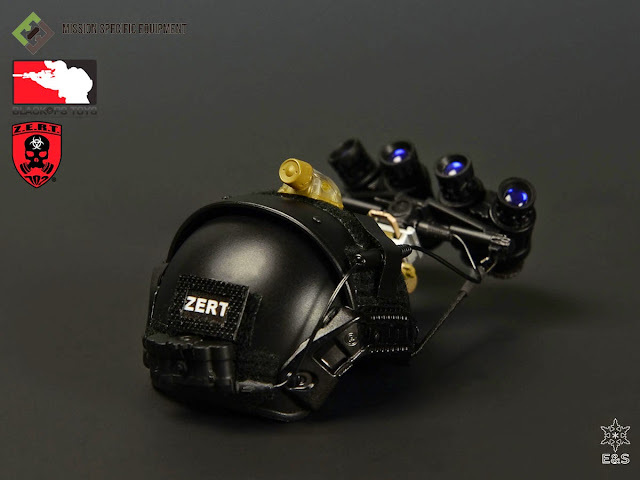 The figure is based off the fictional Z.E.R.T. 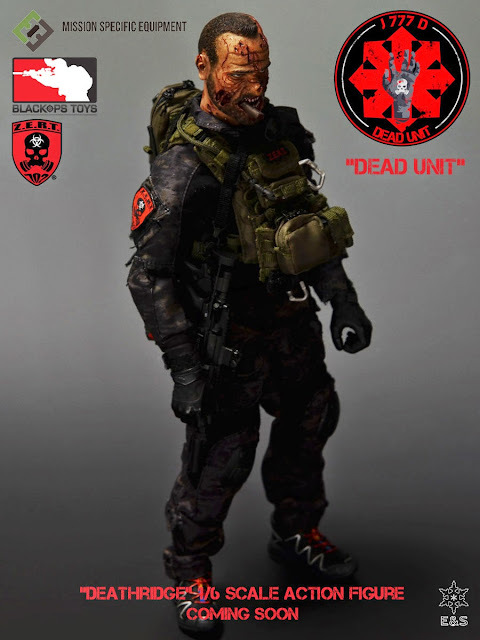 comic book character. 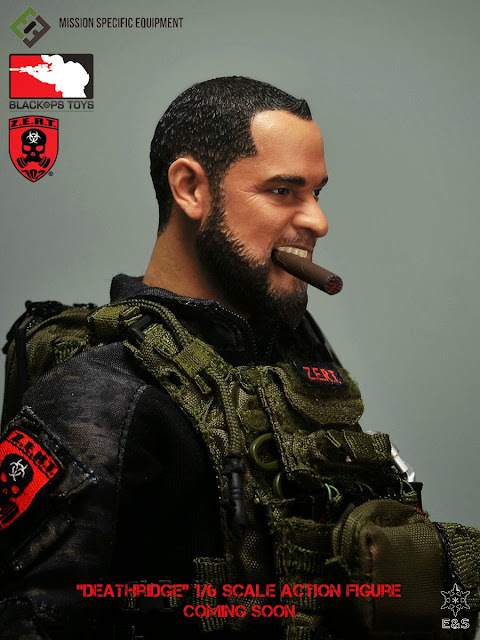 Jameson YoungBlood Deathridge – a retired Force Recon Marine, now working Proliferation Operations for the C.I.A., is chasing signs of a terrible plague sweeping across the Middle East. 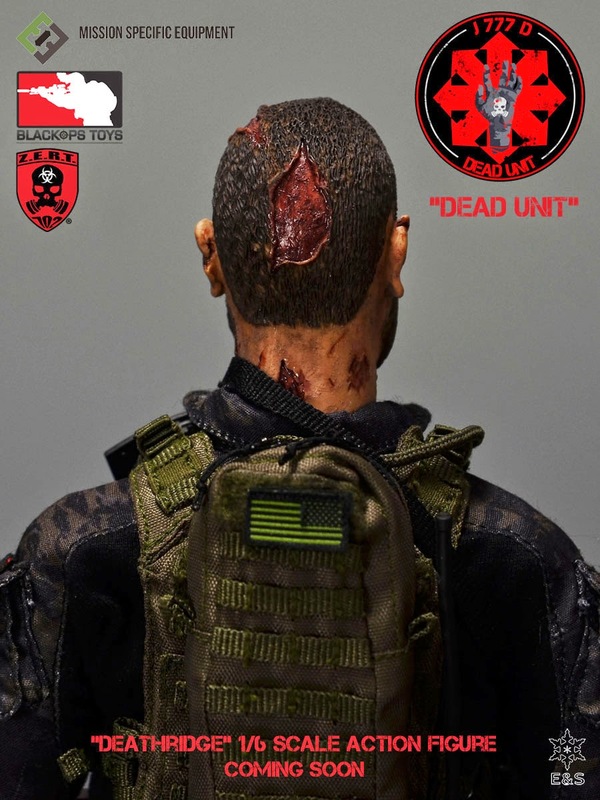 Deathridge’s American Special Operations team fights to contain the evil before it spreads. 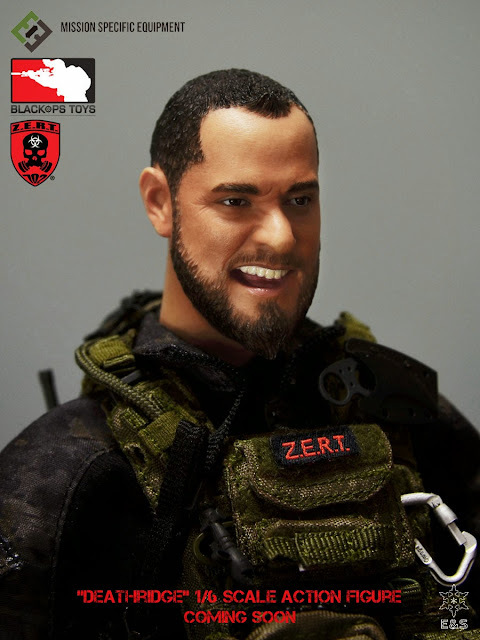 REGULAR RELEASE: (realistic head sculpt pictured above) MSRP $165.00. 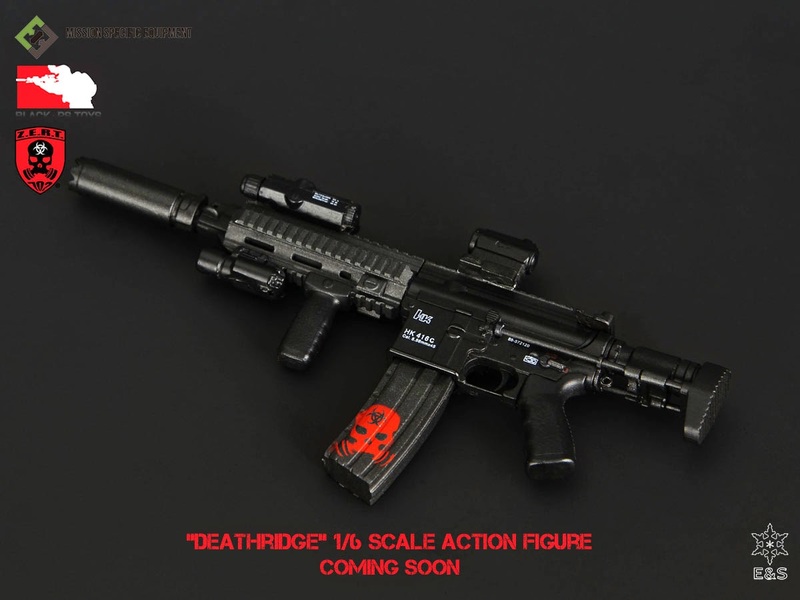 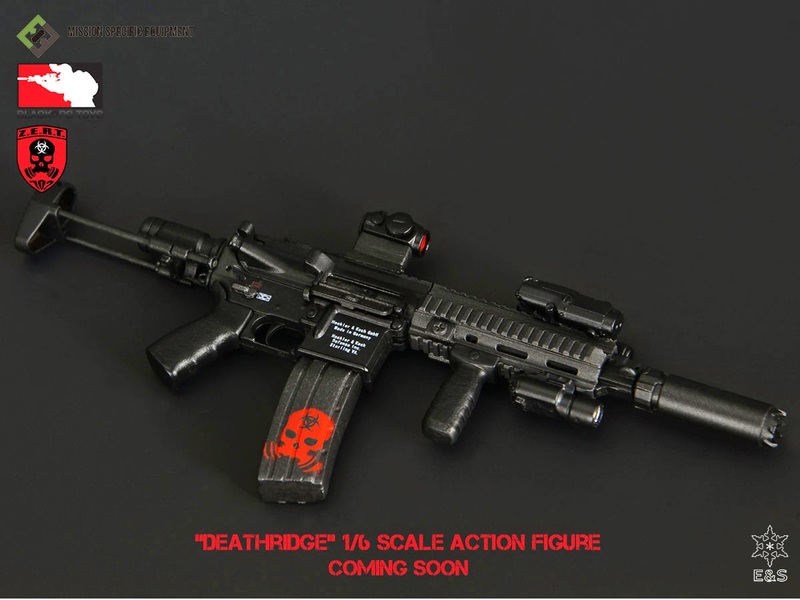 Limited edition run of 600 Deathridge figures made. 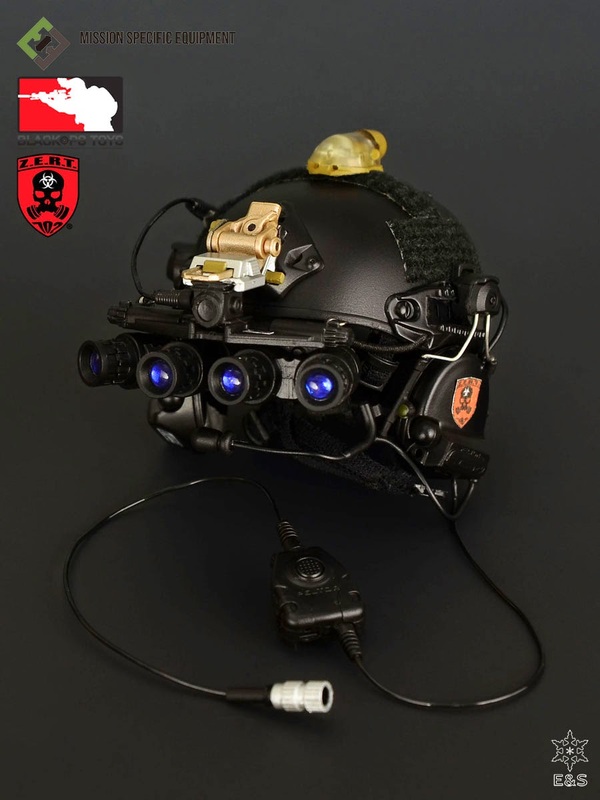 It features the XP001 Realistic head, individually numbered CAC Card and exclusive patch. 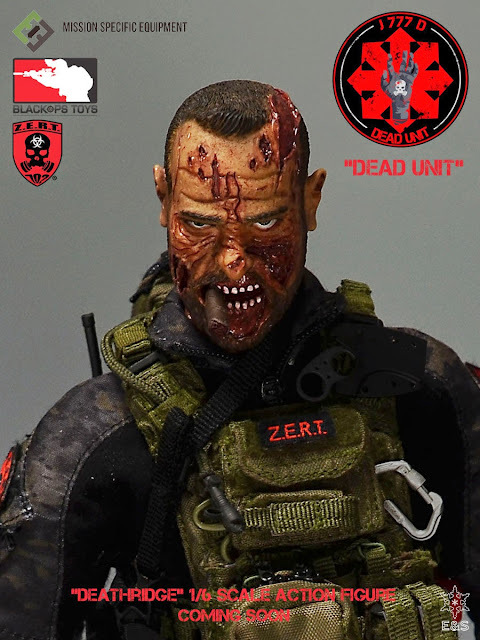 EXCLUSIVE RELEASE: (exclusive zombie head sculpt pictured below) MSRP $195.00. 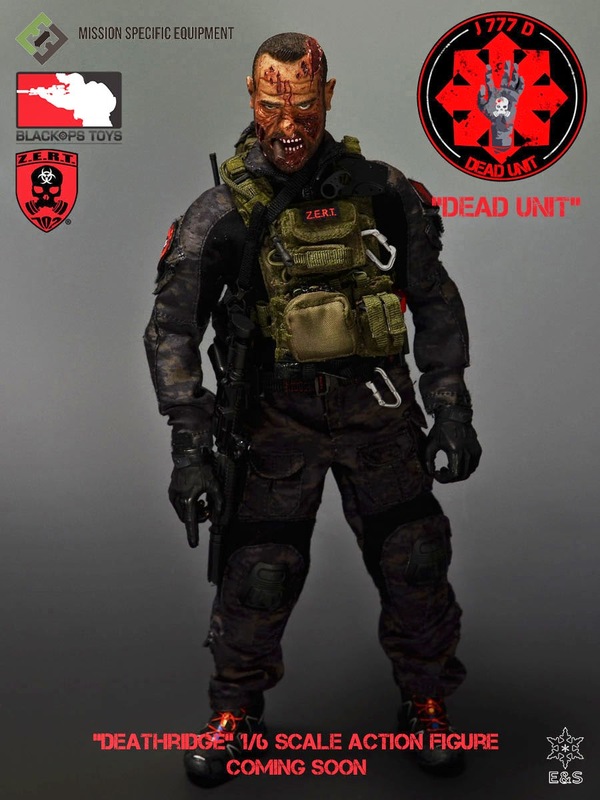 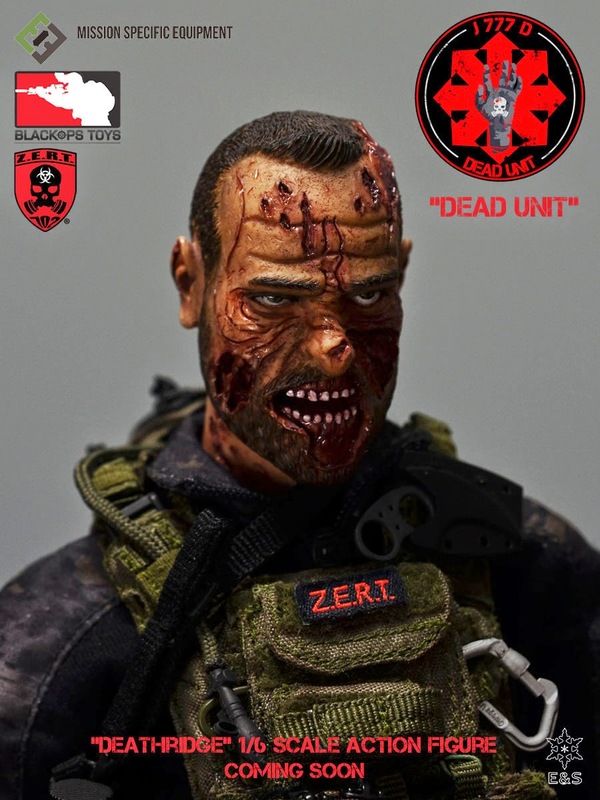 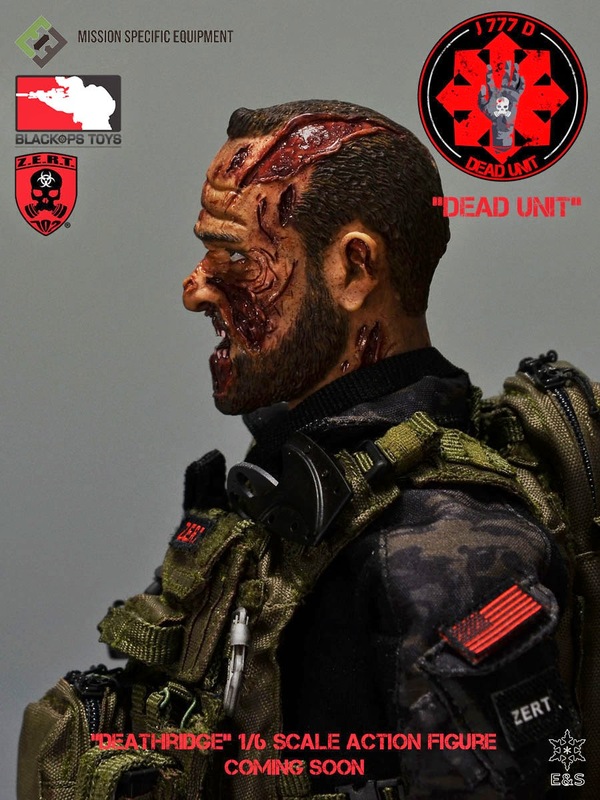 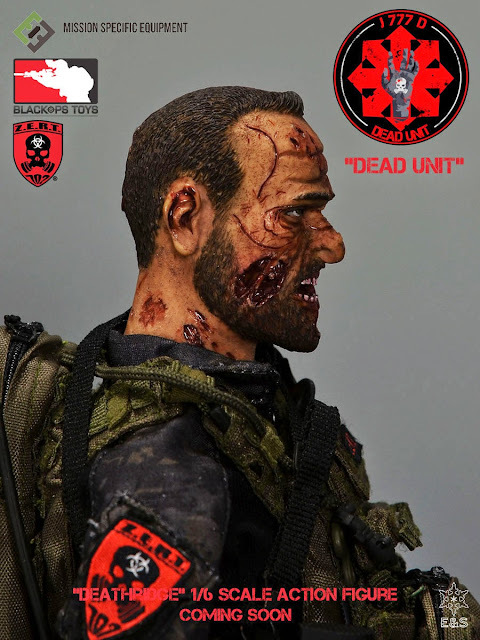 Only 200 Exclusive figures made featuring a Deathridge Zombie head (does not include regular head), individually numbered CAC Card and exclusive Dead unit 1/1 patch.